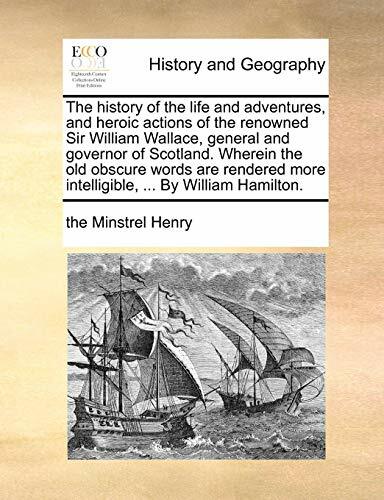 the Minstrel Henry The history of the life and adventures, and heroic actions of the renowned Sir William Wallace, general and governor of Scotland. Wherein the old ... more intelligible, ... By William Hamilton. The history of the life and adventures, and heroic actions of the renowned Sir William Wallace, general and governor of Scotland. Wherein the old ... more intelligible, ... By William Hamilton. The author named in the introduction as "blind Harry". Verse. Based on the Latin prose history of Wallace by John Blair; modern English adaptation by William Hamilton. In this issue the title ends with "Hamilton".